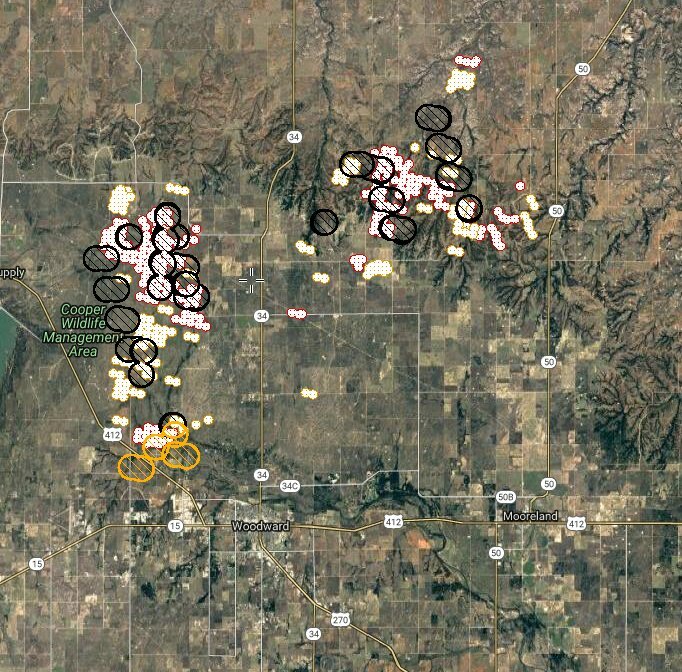 Woodward, OK – The 34 Complex Fire is made up of many wildfires that began on April 12 (Thursday). 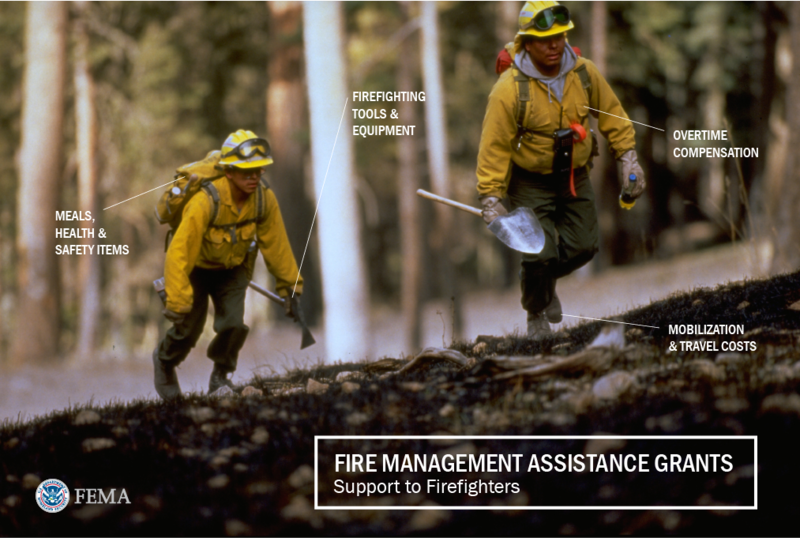 Moderate fire behavior with wind-driven runs, flanking. Homes threatened. 120,000 acres. 13% contained. 88 personnel. 30 engines. 2 helicopters. 12 homes, 20 outbuildings destroyed. $365,000 Cost-to-date. Fire fuels include tall grass and brush. Extreme fire behavior with running, flanking and spotting. 120,000 acres burned. 4% containment status. Structures are under direct threat. Road closures in effect. 247 personnel. 100 engines. Oklahoma’s Governor Mary Fallin has declared a State of Emergency due to ongoing wildfires. Fire started @ 1600 hours. 6 miles North of Woodward, Oklahoma. Multiple structures threatened. Evacuations in effect. RED CROSS shelter located at Faith United Methodist Church, 1402 Texas Avenue, Woodward, Oklahoma. 115,000 acres consumed. 13% contained. 88 personnel. 30 engines, 2 helicopters. 12 homes, 20 outbuildings destroyed. $365,000 fire suppression and containment Cost-to-date. (c) NW Fire Blog – 4/14/2018 @ 1200 hours PDT. INCIDENT SUMMARY | The 34 Complex Fire is made up of many wildfires that began at 1600 hours on Thursday, April 12, 2018, which is located about six (6) miles of Woodward, Oklahoma. Fire crews have reached a 4% containment status. FIRE FUELS | Fire fuels consist of tall grass and brush. Fire Fact: There were 426 fires reported on April 13, 2018 in the Southern Area which consists of OK, FL, TX, SC and NC. BEHAVIOR | Extreme with running, flanking and spotting. Several homes under threat. Road closures are in effect. Fire Fact: Of those 426 wildfires, 14 were reported as ‘new incidents’ and 10 are considered as ‘not contained’ large fires. RESOURCES | There are about 247 personnel along with 100 engines assigned to this fire from the Oklahoma Division of Forestry and Bureau of Indian Affairs. DAMAGE ASSESSMENTS | 12 homes and 20 outbuildings destroyed. 120,000 acres have been consumed. $110,000 cost-to-date in fire suppression and containment efforts. Social Media users and media outlets report: This fire originally broke out near E County Road 35 and Hwy 35 in Woodward. Some are saying that the number of acreage has been reduced from 115,000 to 59,000 due to more accurate mapping. We are keeping the # at 120,000 as multiple sources are reporting this total. EVACUATIONS | Several structures are currently being threatened and evacuations are currently in effect. A RED CROSS Shelter is open at the Faith United Methodist Church located at 1402 Texas Avenue in Woodward, Oklahoma. FIRE WEATHER | Current weather conditions (as of 2140 PDT) are showing 38*F (temps), partly cloudy with winds at 25 mph. There is a 55% of humidity. (c) NW Fire Blog – 4/13/2018 @ 2200 hours PDT. INCIDENT SUMMARY | The 34 Complex Fire is made up of many wildfires that began this afternoon on Thursday, April 12, 2018, is now estimated at 115,000 acres and growing. There is a 0% containment status. The fire is located four (4) miles NW of Woodward, Oklahoma. Resources will be working throughout the night focusing on fire suppression efforts as the fire behavior continues to be more extreme. EVACUATIONS | Several structures are currently being threatened and evacuations are currently in effect. A Red Cross shelter has been opened at the Faith United Methodist Church located at 1402 Texas Avenue in Woodward, OK.
We are working to gather more intel on these wildfires.